I’m not usually a New Year’s Resolution kind of guy. My philosophy is that if you want to do something for yourself, like get into shape, you should just do it. Most people do not stick with their resolutions, mostly because their goals are lofty and they expect immediate results. The path to fitness requires a long-term commitment, with time and effort dedicated towards it every day. This year is a little different for me. Believe it or not, today is the one year anniversary of successful hip surgery. The road to recovery has been slow, with a lot of highs and lows along the way, but I had finally been able to achieve some fitness gains toward the latter part of the year. I bit the bullet and participated in a 30-Day Plank Challenge on New Year’s Day. 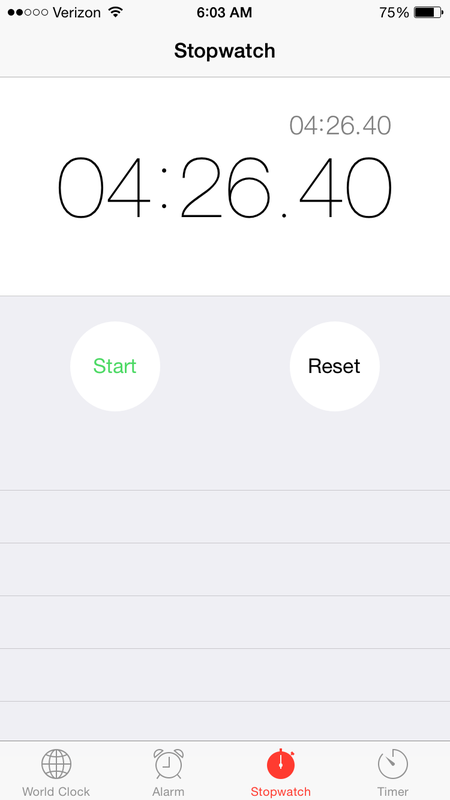 My goal of 5-minutes was lofty, but I had a month to get there. Fortunately I made quick progress and achieved that goal within a couple of weeks. The real challenge was not reaching a certain time, but putting in an honest effort each day. It is not easy to get up every morning, eat breakfast, drink coffee, and do an exercise for a few minutes that makes you shake. I didn’t stop once I reached the time goal. After modifying my way through week three, I committed to doing my best during the final week. The last level was to do Plank Jacks for as long as possible. At first I was under the misimpression that I was to move my legs inward and outward every 5 seconds, which made it a difficult plank, but easier than it could have been. I learned midway that it was actually supposed to be more like 1-2 seconds, continued movement, just like jumping jacks. There already was the shoulder and core pressure of the plank with the added component of cardio. Times dropped considerably for not just me, but everyone. This was a tough plank. We were all relieved when level four was finished. We now had two days to attempt to reach our best time. As it turned out, I had a tough core workout on the eve of the first attempt from another challenge (which I will talk about later). From the first second of the plank, my shoulders and core started to shake. I managed only 82 seconds, and it was a fight to hold on even that long. Compared to the planks I had done throughout the month, this was a small number, but there was a good reason for it. I was simply all used up. Rather than get discouraged, I rested and tried again the next and final day, committed to putting together a good time. This was my time. I was hoping to top five minutes and reach my best time of the entire month, but the remnants of my other workouts during the week worked against me. Still, that’s a tremendous time, and I could have reached five minutes probably if I were fully rested and recovered. It was a great way to finish and punctuate the challenge with style. I’m proud of sticking with it, but also for doing well. The best planker in our group was Darrell. He put in a three-minute plank on day one, and continually put up the best times of our group all month. Like me, he had a bad penultimate number, mostly due to having a tiring day, but he came back for the final day. He finished his challenge with a respectable 5:31 time. He was the overall “winner” of the challenge, with 7,000 total seconds planked and the highest time. Believe it or not, I was second. I surprised myself with how well I did. I was still quite a ways from Darrell, with just over 4,000 total seconds planked. The most important metric for me was the level of improvement over the month. I improved by 378% from my first plank, which was at the top of our group, although most everyone improved by an impressive amount. This was a tremendous challenge and I’m glad to have been invited. It was just the motivation I needed. And it isn’t stopping here. We now have a February Challenge coming up soon, Squats, and I’m working on another intense challenge already that I’ll discuss soon. This entry was posted on Saturday, January 31st, 2015 at 10:02 am	and posted in Recovery, Training. You can follow any responses to this entry through the RSS 2.0 feed. Congrats! Reading about your plank challenge interests me in trying one sometime. I’ve never done these kinds of virtual challenges, but reading through your post, I can see its benefits and how the online community can help with accountability and positive reinforcement.